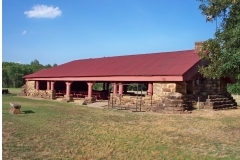 The principal structure in a 20 acre park, the picnic pavilion is a single story, rectangular (33′ x 90′) pavilion constructed of large sandstone blocks, rusticated and coursed, and large wooden logs. 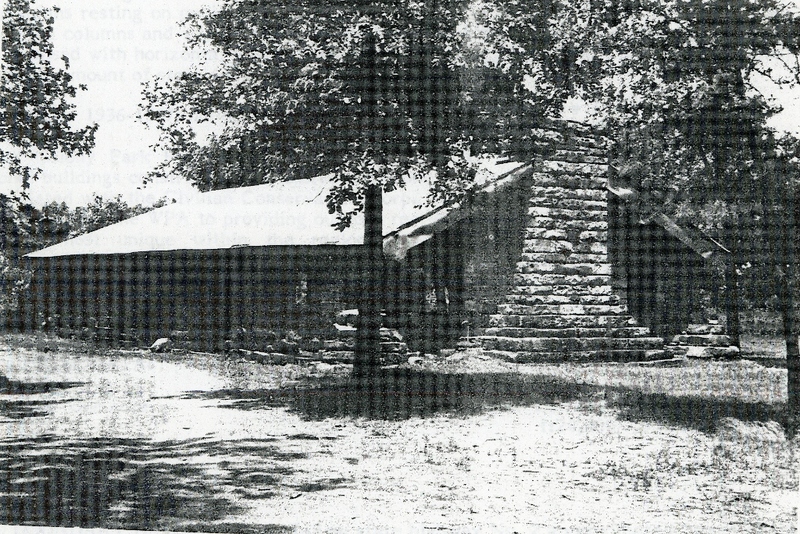 A huge fireplace with an external chimney dominates the south end of the structure. 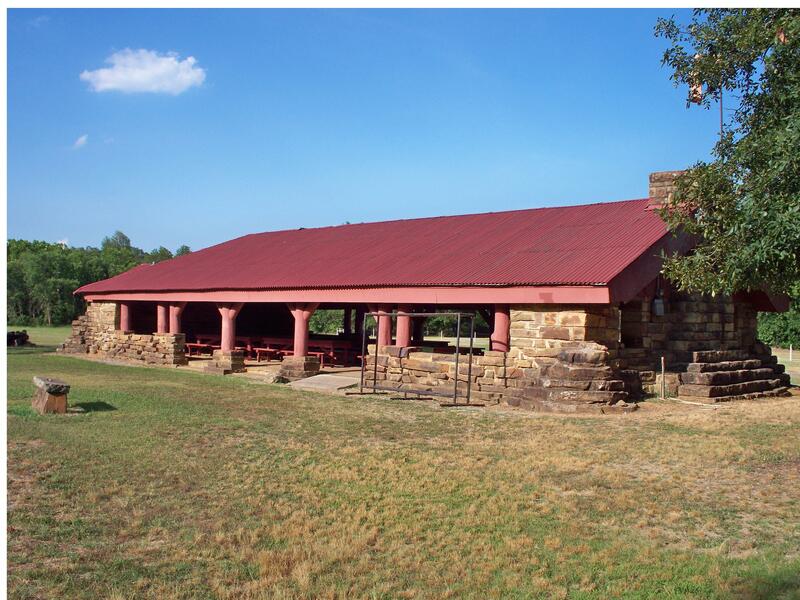 The gabled roof is supported by corners made of sandstone blocks and by wooden columns resting on pedistals of sandstone blocks. Either side of the pavilion is open except for the columns and walls that reach only three feet high. 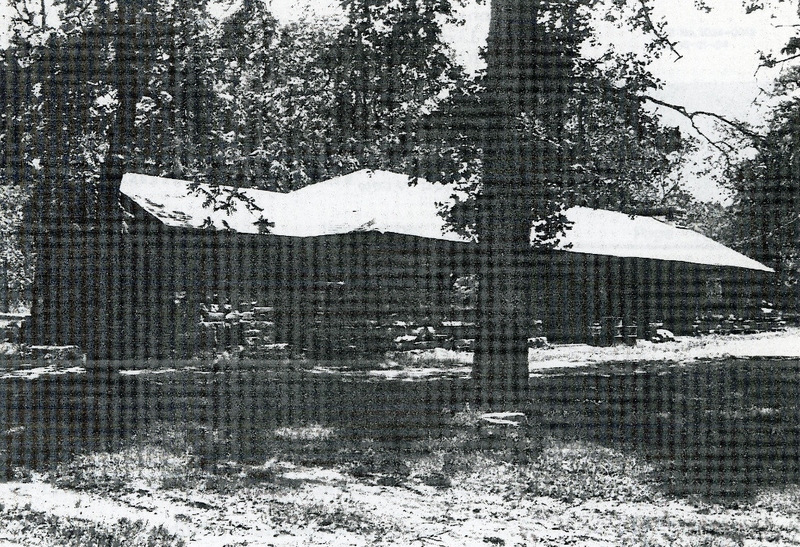 On the north end, the open space is enclosed with horizontal logs to form toilets. 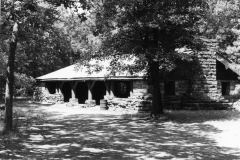 Although not a part of this nomination, a considerable amount of stone work exists throughout Colony Park. 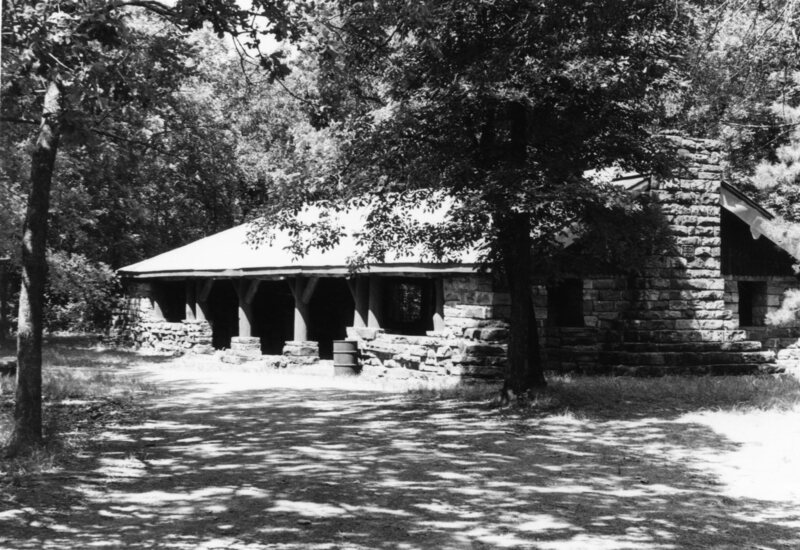 The Colony Park Pavilion is significant because it is an atypical WPA structure; recreational buildings constructed of massive sandstone blocks and large wooden logs are most often associated with the Civilian Conservation Corp. At the same time, the pavilion reflects the commitment of the WPA to providing outdoor recreational facilities. Architecturally the structure is most unique within the region in terms of type, scale, materials and workmanship. 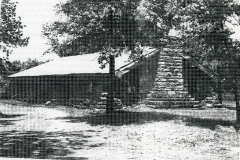 Construction of it, moreover, provided work for unskilled laborers left impoverished and without hope by the depression. Most of those who worked on the project were residents of adjacent Veterans Colony, in the 1930s a community of Spanish-American War and World War I veterans. VERBAL BOUNDARY DESCRIPTION: Follow state highway No. 2 approximately seven miles south of Wilburton to where it intersects with a paved county road that leads to the Colony settlement; the park is on the east side of the road, the pavilion being 1/l0th of a mile from the park’s north gate. The nominated property begins at a point 208 feet north and 208 feet east of the SW corner of the SW 1/4, SE 1/4, SE 1/4 of Sec 16, T 4 N, R 17 E, and runs north 208 feet, east 208 feet, south 208 feet and west 208 feet to point of beginning.